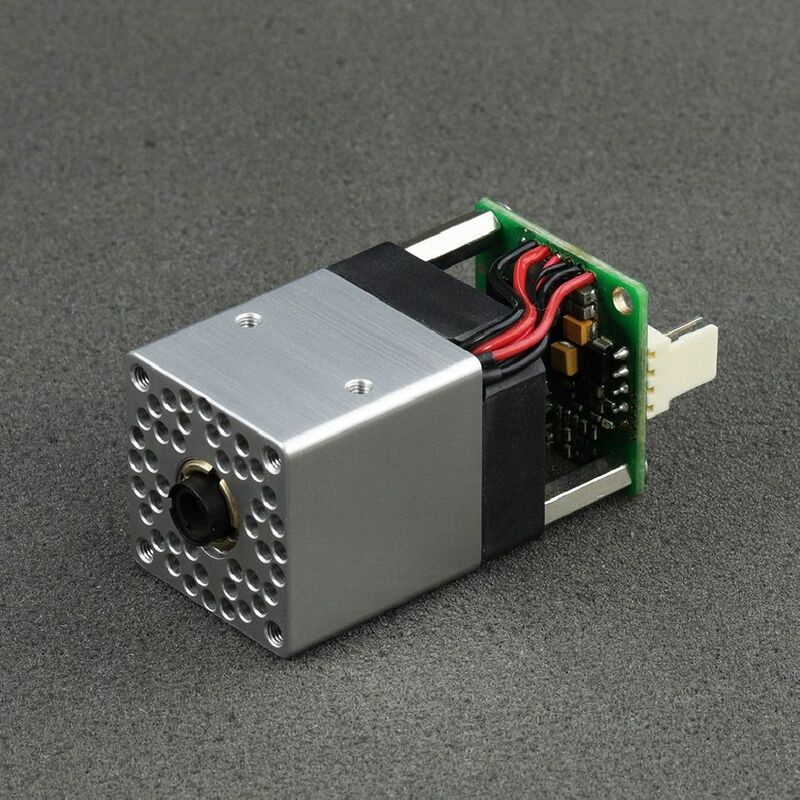 Smallest but still powerful laser head from PLH3D series. PLH3D-2W is a medium power laser head equipped with 450 nm laser diode and high-resolution lens. 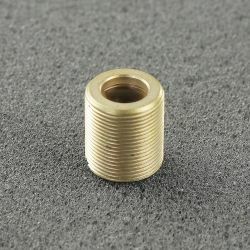 Compact design and very lightweight (70 grams) allow installing the laser head even in small and delicate machines. Driver equipped with LED informs the user when the laser head is armed. Available quantity: 1 Item Items Last items in stock! This DC-DC converter helps to change 24 V into 12 V and is dedicated to PLH3D series. 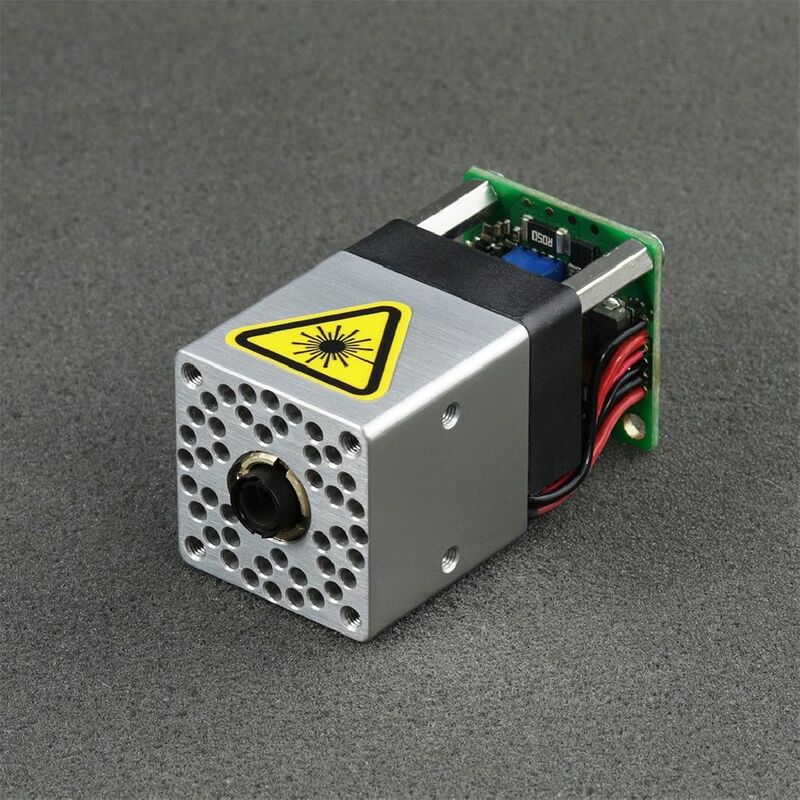 This is a PLH3D medium power 2 W professional engraving laser head. The laser head allows to cut or engrave materials such as wood, paper, leather, cardboard, and many others. 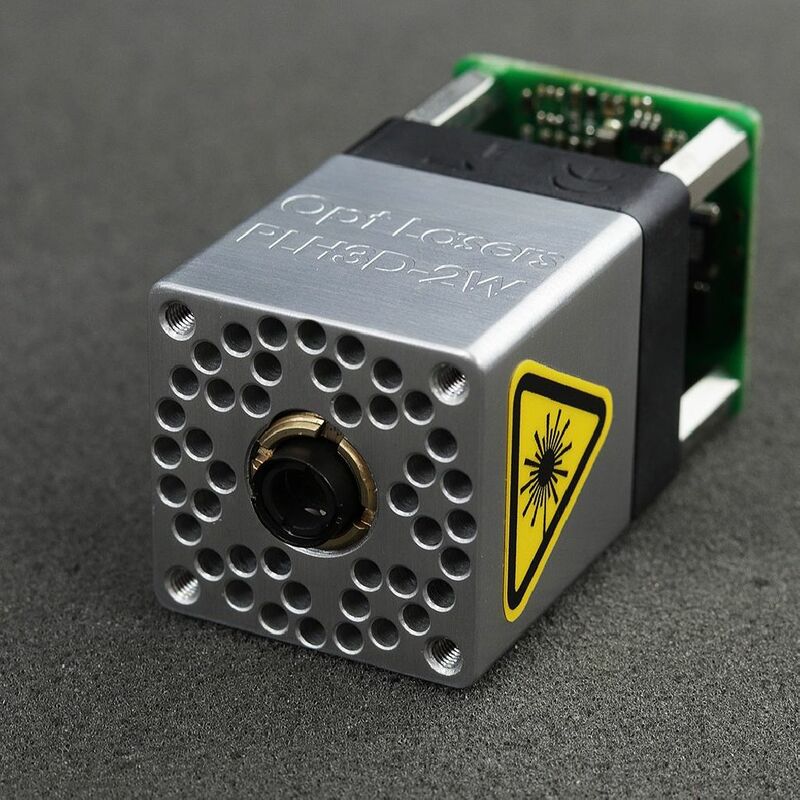 This lightweight 70-gram laser head doesn’t require any additional cooling. Fan design makes it work as a fully customized air nozzle protecting the lens from dirt and cooling the laser head. 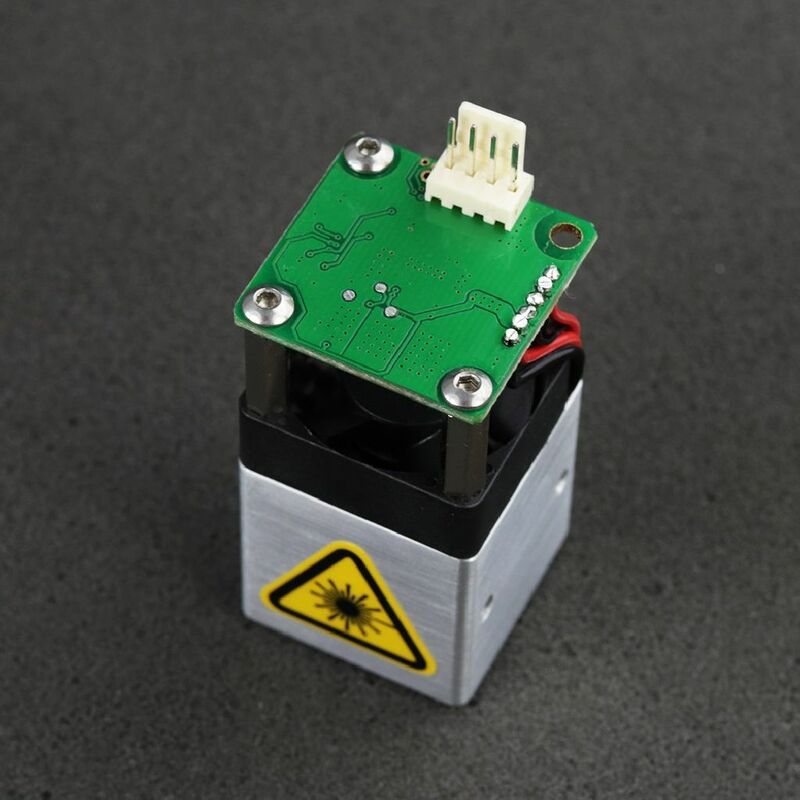 PLH3D-2W works with common 12 V power supply (min 1.5 A current). The driver is equipped with an LED indicator, which displays all the required information. The temperature control system would turn off the laser head in case of exceeding critical temperature. 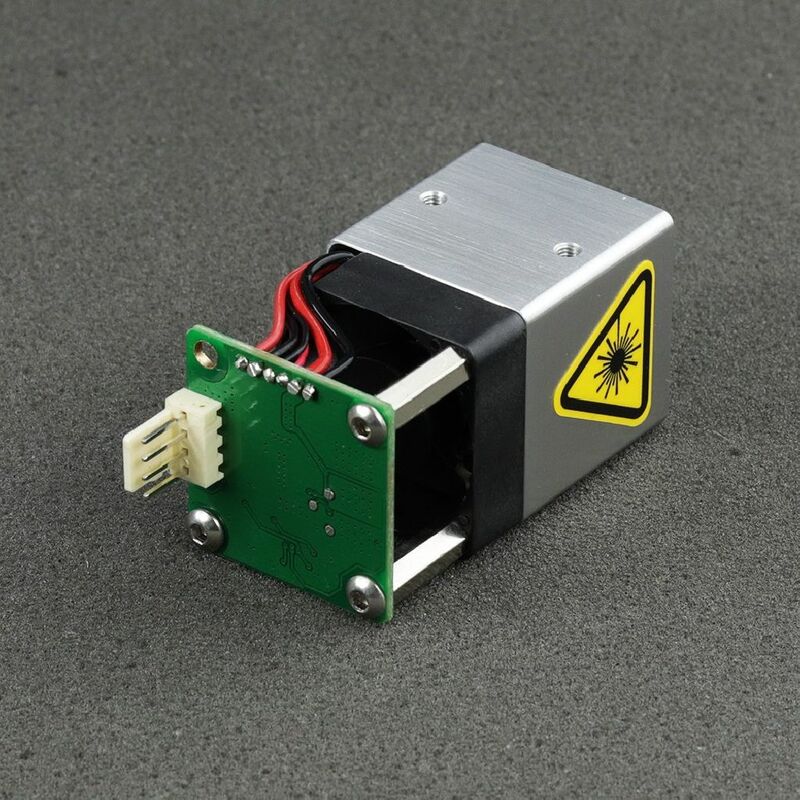 Small sized driver attached directly to the laser head improves the speed of diode modulation. This also allows connecting longer cables to the head. 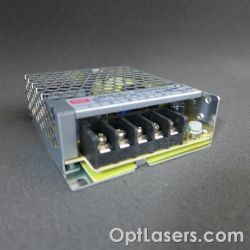 Analog modulation enables the user to control the laser power. 0 V = laser OFF, 5 V laser ON, 2 V ~40% power. 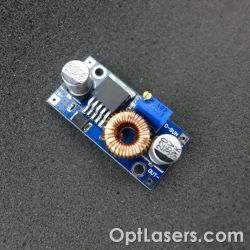 This can also work as TTL using a voltage from 0 to 5 V.
In order to modulate power through PWM, the base frequency has to be set between 5 and 10 kHz. Conducted thermal tests on several prototypes allowed us to optimize the radiator’s shape and enable efficient cooling, keeping up with a small size of the device. Besides the standard functionality, small sized laser spot gives the possibility to illuminate plates, covered with a photosensitive surface, which gives a chance for very quick PCB prototyping. 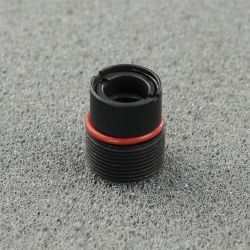 For bulk orders, PLH3D can be customized to all customers’ needs. The supply voltage may be switched to 24 V. We can add customers’ logos and all possible additional features. The analog input is protected by a 5V1 Zener diode on occasion there appears the voltage higher than 5V. Despite everything, this input should not be used with higher voltages.